What fun to connect with Carissa for Miscellany Monday. No rhyme or reason, just our " random thoughts." 3. 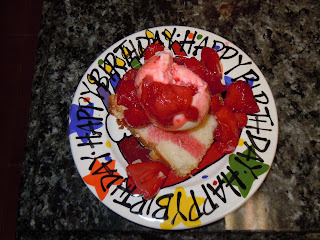 We celebrated our son's 34th birthday last evening. His birthday isn't until the 3rd, but our family has 4 birthdays the first week of Oct. so we decided to start celebrating a week early so that we could get them all in. 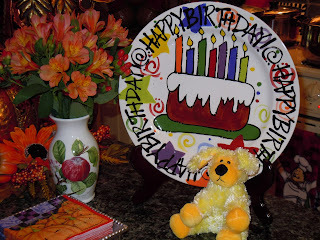 When we celebrate a birthday I put out a special birthday plate, fresh flowers and a little " fuzzy fella" on the kitchen island in their honor. I think everyone should feel extra special on their birthday and hopefully this adds to that feeling for them. 6. Now, this precious little cowboy will be the next one to celebrate his birthday in our family. He will be a whopping 2 years old this next Saturday and is he ever going to love the Fisher Price barn and farm animals that his CiCi and Poppa are giving him. I never knew one so young could get into this whole " cowboy thing" but after all, he was born in Oklahoma. Go figure! A happy week to you and we've been promised fall temperatures this week so I'm plum excited about that. Oh, Lea, your little guy is so adorable! What a lovely post and a cute grandson!I love the idea of the mini bundt pan! You just brighten my day every time I read your blog! Your nails look so beatiful and bold! Love it! I never, ever paint my nails but I love the look. I'm just too hard on my nails and it would never stay on. I love that birthday plate! How special of a tradition you have :) I bet your grandson's celebration is going to be a blast. Two is such a fun age! He is darling! Look how pretty your nails look! I really need a mani/pedi SOON! Always such a fun, girly treat! 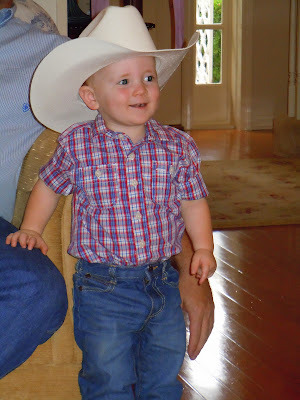 Your little cowboy is toooo precious! I know y'all had a great weekend. I always enjoy your sweet comments on my blog. You make me smile :) Can't wait to read more of yours! C man is too cute! Happy birthday to him! what a cute cowboy!!! happy early bday to the handsome fellow! and belated to your son! 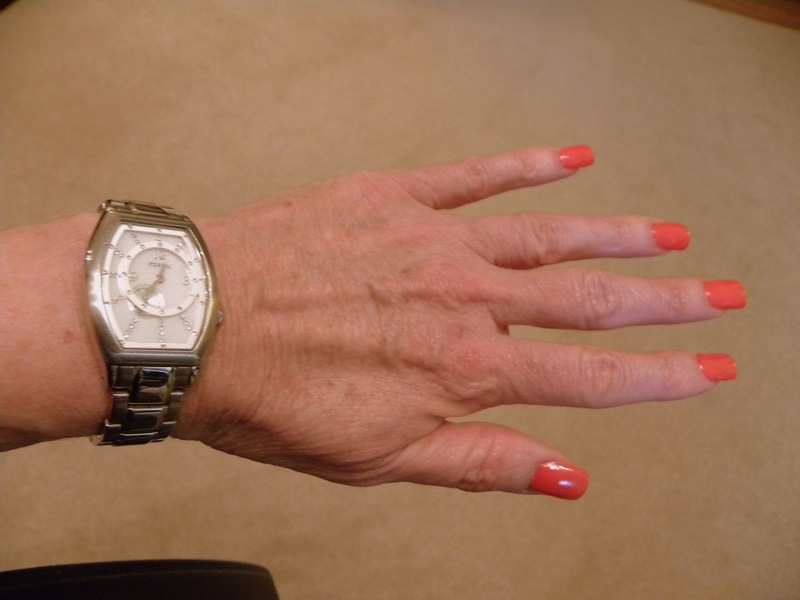 your mani looks beautiful! i love the color you chose. #2 - you are so right - ha! p.s. - thank you for your sweet and encouraging comments! you are so thoughtful!! !